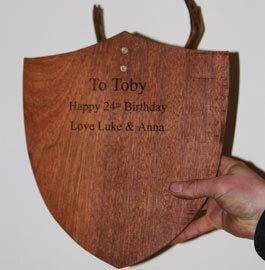 In The Sign Maker workshop our carpenters can make virtually any taxidermy shields or trophy plaques in any of our timbers and to almost any shape and size. 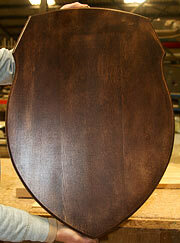 We do not use veneer! 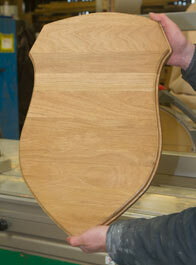 All the plaques, shields and bases are solid timber, with oak being the most popular. 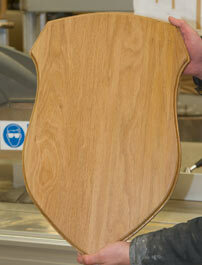 We have created a number of standard sizes in oak which are cut in bulk and therefore good value. 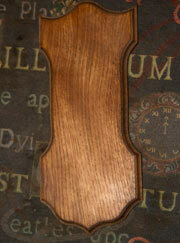 These can be supplied in the natural finish or a darker antique look finish. 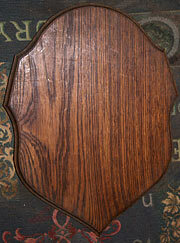 They can also be left untreated or painted. We also have made to measure plaques, boards, base and shields for which we use three thicknesses of timber for plaques and shields - 18mm, 24mm and 32mm. (approx - 3/4", 1" & 1.25"). 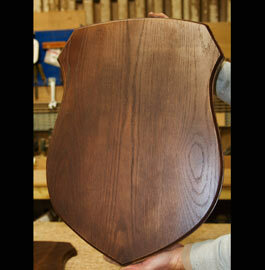 All of the plaques and shields below can be supplied with a Natural Satin Varnish, Antique Oak Finish, Wax, Danish Oil or Black Paint. 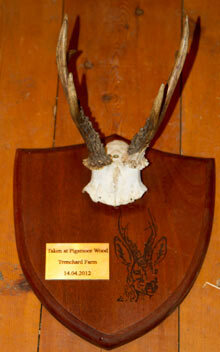 As we make the taxidermy shields and award plaques in our workshops, we can make them just the way you want them. 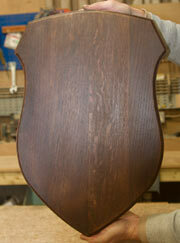 The grain can go either way, if you want vertical or horizontal boards please let us know if you have a preference. 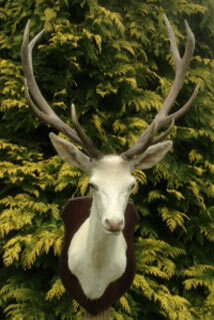 The prices below are for shields, backing boards and plaques suitable for awards, taxidermy and trophies. 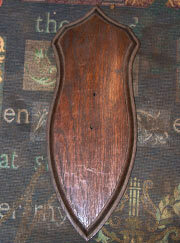 In addition to the oak plaques and shields above we have some beautiful wide board sapele (very similar to mahogany) which is perfect for the larger taxidermy shields. For wider board oak, other timbers and sizes, as well as boards for outdoor use, we have standard prices on the backing board page. 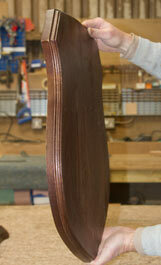 25 - 30mm thick 12"
As we are sign makers lasering wording and images is certain not a new concept to us! We have a whole range of fonts or lettering styles to choose from. 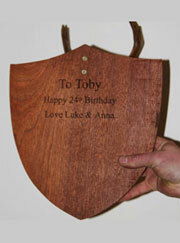 The cost of lasering up to 50 characters onto the front or back of the plaque is £19.95. 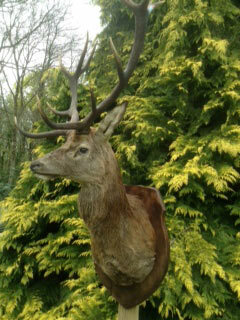 You can also include one of our standard images @ £9.50. Largest size for lasering is 600mm x 300mm. 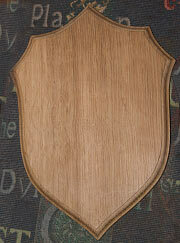 We can also supply engraved plaques. These can be in brass or in other materials. Made in the UK. 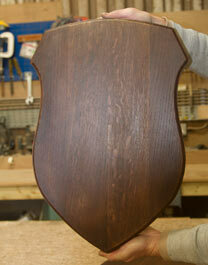 Our team at The Sign Maker looks forward to helping you with your wooden shield.